Hola Folks! Haven’t had a chance to update because I have been redesigning the MexiStim…man, it is so slick, new durable plastic case, it lets you switch the timer to be powered either from the included AC adapter OR from the batteries so it is portable. It also has the LEDs visible when the lid is closed so you can see it pulsing or when it switches polarity. The website at http://www.mexistim.com/ has all the new information and photos. About the size of a hardback book and of course heavy when all 10 D cell batteries are installed. I haven’t yet determined how long the batteries will last if left on 24/7 and in ‘portable mode’ to power the timer. But you can flip the switch to turn off the power when you aren’t actually using it. This should make them last as long as you want…I estimate 2-3 years. I changed out my old wooden boxed one for this new durable plastic case model…it looks really nice on the night table next to my bed. I have used that wooden boxed MexiStim for almost 8 years and the only time it is ever off is when unplugged accidentally, on purpose (too much energy makes me toss and turn when trying to sleep) or the power goes out. So it has been a workhorse for me all these years and very reliable. We are all told at school that in a vacuum, all objects accelerate under gravity at the same rate, regardless of their mass, shape or size. 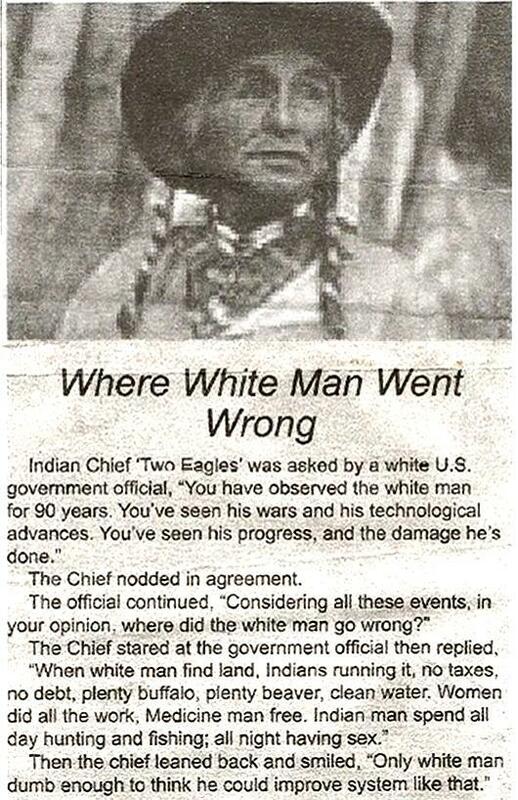 This is something that I had never witnessed first hand. During the Apollo 15 mission, David Scott dropped a hammer and a feather on the moon to demonstrate that they would hit the ground simultaneously. RANCID butter, or rather the chemical called butyric acid which bacteria form in fresh butter, is the newest cancer treatment reported in England by a famous surgeon. The acid of rancid butter is not to be eaten or injected but is applied directly to the cancerous growth. For some reason, which still is mysterious, the butyric acid bites much more viciously into the cancer tissue than into the healthy tissues which surround it. Now this is a novel way to control breeding. The OSPP Module, an electric power generating carbon-free machine, is manufactured by Hybrid Solutions Industries Corp. (HSI) and Shirlee Industries, Inc., exclusively and distributed by HSI. Installed at the customer location by the method of manufactured-to-order, the Module is highly modular and compact (low profile), each rated at 4.4kW for residential application (two modules are sufficient to power an average home) and of much higher name plate for commercial, industrial, institutional and all other applications. The HOG-GEN technology incorporates proven and reliable for many years, devices, apparatuses and components, inextricably embodied, integrated and synergized, encompassing the associate systems and equipment. The OSPP machine is a Panel-tied with an input of approximately 20% and is designed to foster up to five time output compared to the input, thus as a super hybrid energy efficient device, should qualify for Government rebates and incentives. This machine is an alternative (green) energy apparatus, with and efficiency (capacity factor) to 80%, invented on the principles of least-cost, least-risk, best-fit, portfolio-fit and in the cumulative context, an environmentally friendly. Should not be compared to wind turbines and solar PV roof installation which are exhibiting intermittent and low capacity factor (low efficiency) electric power generation, whether off-grid, or grid-tied. Now, the user can pay to the Utility Company only a small fraction (approximately 20%) of what used to pay and the rebates/incentives can bring the pay-back time to less than 8 years. Sale of OSPP modules has commenced and prospective user can contact HSI directly. (There are no salespersons). The OSPP is also designed as an Electric Vehicle (EV) charging station, as well as to generate excess power for auxiliary uses, not limited to replacing natural-gas fired water heater with fully electric water heater, a system utilizing excess power generated during nights (off-peak) and stored in an additional battery bank, as a viable option, thus an additional saving realized and elimination of fossil fuel use (substantial carbon footprint reduction by millions of homes when utilizing the OSPP). As an EV charging station, the OSPP can be sited at any location, not limited to at parking lots and garages and virtually at every street corner. The utility company can also benefit, since approximately 20% is the input needed. The input of only 20% can curtail the need for building massive new power plants, whether plants utilizing fossil fuel, or nuclear energy, however although the wind and solar installation are intermittent, such shall continue their contribution to free the US from dependence on oil. Hybrid Solutions Industries Corp. (HIS) http://www.hsicorpusa.com is now accepting applications from dealers, representatives and installers who must be licensed electrical contractors, Nationwide and Worldwide. Contact HSI corporate at 909-614-4645, by e-mail corporate@hsicorpusa.com as well as Shirlee Industries, Inc. at 909-590-4120. Users can now pay to utility company only a fraction of what they used to pay, 15% – 25% and in any event, the power supply can be from the utility, during unscheduled, or scheduled maintenance of the OSPPe. The SELF POWERED ELECTRICAL SYSTEM is an invention that will produce enough electric power to operate itself indefinitely along with any other electrical operated machine, tool, or equipment without the need of any outside power source or fuel. Thus, eliminating the need for fuel. First the off and on switch (1) is moved to the on position. This causes electrical power from the batteries (2) to travel through the battery cable (3) through the voltage regulator (4) to the off and on switch (1). The off and on switch (1) sends electrical power through electrical motor cord (6) to the electrical motor (7). This will cause the electrical motor (7) to turn the electrical motor 31/4 in. pulley wheel (8) that will turn the drive belt (9) that will turn the small 1/2 in. gear pulley wheel (10) that will turn the large 6 in. gear pulley wheel (11) (FIVE times the RPM of the electric motor 31/4 in. pulley wheel (8)). The large 6 in. gear pulley wheel (11) will turn the gear wheel drive belt (12) that will turn the generator 31/4 in. pulley wheel (13) TEN times the RPM of the electric motor 31/4 pulley wheel (8) that will turn the generator (14). Electrical power from the generator (14) goes through the voltage regulator cord (15) to the voltage regulator (4) that will power the electric motor (7) through the electrical motor cord (6). Also the voltage regulator (4) will recharges the batteries (2) through battery cable (3). When batteries (2) are charged the voltage regulator (4) will stop the charge and continue to power the electric motor (7) through the electric motor cord (6). Also in start up the voltage regulator (4) will supply the electric motor (7) with electric power from the batteries (2) until the generator (14) reaches its full RPM. By causing the generator 31/4 in. pulley wheel (13) to have TEN times the RPM of the electric moter 31/4 in. 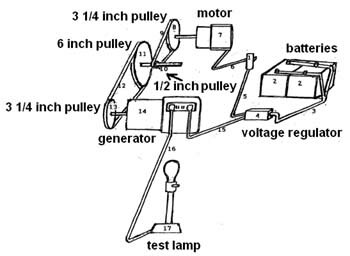 pulley wheel (8) is what cause the generator (14) to supply enough electrical power to power itself through the electric motor (7) and the test light (17): that represent any electrical tool or appliance. This looks like a copy of Jesse McQueen’s generator. Patent #7095126 b2 granted August 22, 2006 and notice Harold Shirlee filed his application 2 months LATER! An external power source such as a battery is used to initially supply power to start an alternator and generator. Once the system has started it is not necessary for the battery to supply power to the system. The battery can then be disconnected. The alternator and electric motor work in combination to generator electrical power. The alternator supplies this electrical power to the two inverters. One inverter outputs part of its power to the lamp load device and part back to the electric motor/generator. This power is used to power the electric motor. The second inverter supplies power to the specific load devices that are connected to the system. / The battery supplies the initial power to the system to initiate/start the operation of the alternator. 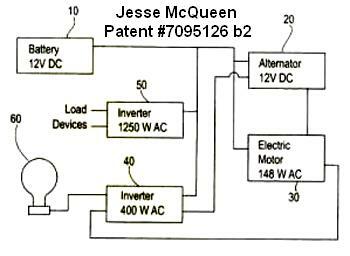 The McQueen Machine can implement other power sources in addition to the illustrated battery to supply the initial power to the system. The initial model of the machine incorporated an alternator from a 1997 Isuzu Trooper. Once this system is started it is not necessary for the battery to supply power to the already operating system. Therefore, the battery can be disconnected. Once started, the alternator 20 and electric motor 30 work in combination to generate electrical power. The alternator supplies this electrical power to the two inverters 40 and 50. Inverter 40 outputs part of this power to the lamp 60 and part to the electric motor 30. This power is used to power the electric motor. The second inverter 50 supplies power to the specific load devices that are connected to the system. These load devices can be any devices that operate by using electrical power. In the initial model of the present invention incorporated an alternator from a 1997 Isuzu Trooper. The invention incorporates an electric motor 30 (148 watt AC). The electric motor connects to an inverter 40 (400 watt AC). The system also comprises a second inverter 50. The battery 10 also connects to both inverters 40 and 50. Each inverter has two outputs. For the first inverter 40, one output feeds into the electric motor 30 to provide to the motor and alternator combination. The other output feeds into a lamp device 60. The lamp device is a 60-watt AC lamp. This lamp device alters the current traveling from the inverter 40 such that the current feeding into the electric motor 30 is not purely inductive. “Quantum wonders: Something for nothing – If you place two uncharged metal plates side by side in a vacuum, they will move towards each other, seemingly without reason. They won’t move a lot, mind. Two plates with an area of a square metre placed one-thousandth of a millimetre apart will feel a force equivalent to just over a tenth of a gram. A similar uncertainty relation exists between energy and time, with a dramatic consequence. If space were ever truly empty, it would contain exactly zero energy at a precisely defined moment in time – something the uncertainty principle forbids us from knowing. It follows that there is no such thing as a vacuum. According to quantum field theory, empty space is actually fizzing with short-lived stuff that appears, looks around a bit, decides it doesn’t like it and disappears again, all in the name of preventing the universe from violating the uncertainty principle. For the most part, this stuff is pairs of photons and their antiparticles that quickly annihilate in a puff of energy. The tiny electric fields caused by these pop-up particles, and their effect on free electrons in metal plates, might explain the Casimir effect. Or they might not. Thanks to the uncertainty principle, the electric fields associated with the atoms in the metal plates also fluctuate. These variations create tiny attractions called van der Waals forces between the atoms. “You can’t ascribe the Casimir force solely either to the zero point of the vacuum or to the zero point motion of the atoms that make up the plates,” says Lamoreaux. “Either view is correct and arrives at the same physical result.” Whichever picture you adopt, the Casimir effect is big enough to be a problem. In nanoscale machines, for example, it could cause components in close proximity to stick together. The way to avoid that might be simply to reverse the effect. In 1961, Russian physicists showed theoretically that combinations of materials with differing Casimir attractions can create scenarios where the overall effect is repulsion. The two plates on the left start out slightly closer together than the ones on the right, so there is an imbalance in pressure that causes the plates to come together. If you look closely, you can see that low-frequency oscillations start getting “squeezed out” near the end of the video. “In 1961, Russian theorists calculated that in certain circumstances, the Casimir effect could cause objects to repel one another – a scenario Capasso’s team have finally created experimentally. The team achieved this by adding a fluid, bromobenzene, to the setup. 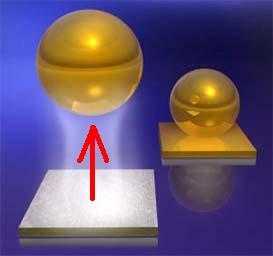 The Casimir attraction between the liquid and the silica plate is stronger than that between the gold bead and the silica, so the fluid forces its way around the bead, pushing it away from the plate. The effect is akin to the buoyancy we experience in the macro world – where objects less dense than water are held up by the liquid around them. But in this case the bromobenzene is less dense than the solid bead. “You could call it quantum buoyancy,” Capasso told New Scientist. The force he measured was feeble – amounting to just a few tens of piconewtons – but that is still enough to buoy up nanoscale objects. Quantum bearings – “The next experiment we want to do is use a TV camera to track the motion of one of these spheres, then we should be able to see easily whether you have levitation.” Harnessing the repulsive Casimir force could provide a kind of lubrication to solve the problem of nanomachines becoming gummed up by the better-known attractive version, says Capasso. 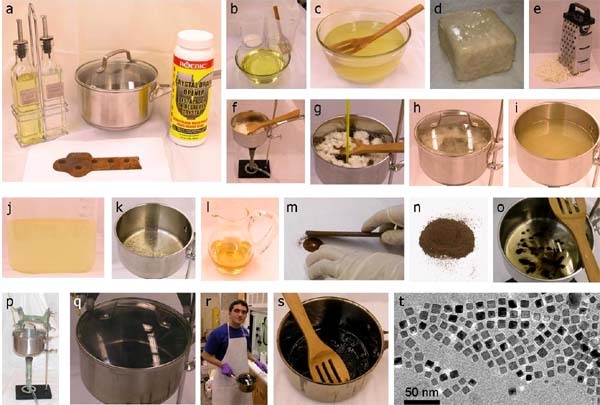 “Unlike many chemistry projects we post here, making magnetite nanocrystals doesn’t require anything that can’t be found in a local grocery store. All that is required is oil, vinegar, crystal drain opener, and rust. We don’t recognize the specific brand of drain cleaner that they are using, but we’re sure that you could find one with the same ingredients. Magnetite nanocrystals are used to remove arsenic from water. If you are in the USA or most of Europe, that’s not a big concern, but it can’t hurt can it? / Magnetite Nanocrystals are good for removing arsenic from water. Based on recent advances in nanotechnology, it’s now possible to make regular magnetite nanocrystals as small as 20-100nm, and to remove them from solution using a handheld magnet. The 100,000-plus U.S. patients waiting for organ transplants face a perilous race against time. Most organs can only be preserved outside the body for somewhere between four and 24 hours–a problem that aggravates the chronic shortage of donors. In 2008, 6,684 patients died waiting for organs, according to the National Kidney Foundation. A Harvard scientist is hoping to change those bleak statistics. 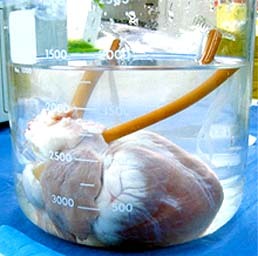 Hemant Thatte, associate professor of cardiothoracic surgery, has developed a liquid solution that may preserve organs for up to 10 days outside the body. Thatte’s lab devised a recipe of 21 chemical compounds that they believe will slow down the process of cell deterioration. Researchers from the University of Geneva are exploring whether firing lasers into the sky could stimulate rain more effectively and safely. They’ve published results from their experiments in the journal Nature Photonics. From Nature News: Firing a laser beam made up of short pulses into the air ionizes nitrogen and oxygen molecules around the beam to create a plasma, resulting in a ‘plasma channel’ of ionized molecules. These ionized molecules could act as natural condensation nuclei, (optical physicist Jérôme) Kasparian explains. To test whether this technique could induce droplets, the researchers fired a high-powered laser through an atmospheric cloud chamber in the lab containing saturated air.